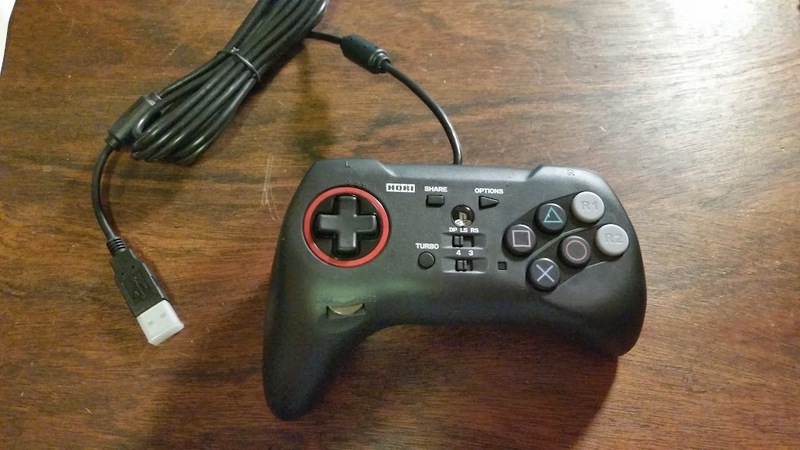 If my DS4 padhack thread scared you from padhacking the official sony dual shock 4 controller then your in luck… sorta. There are currently two third party pads at the moment that are usable in adding ps4 support. 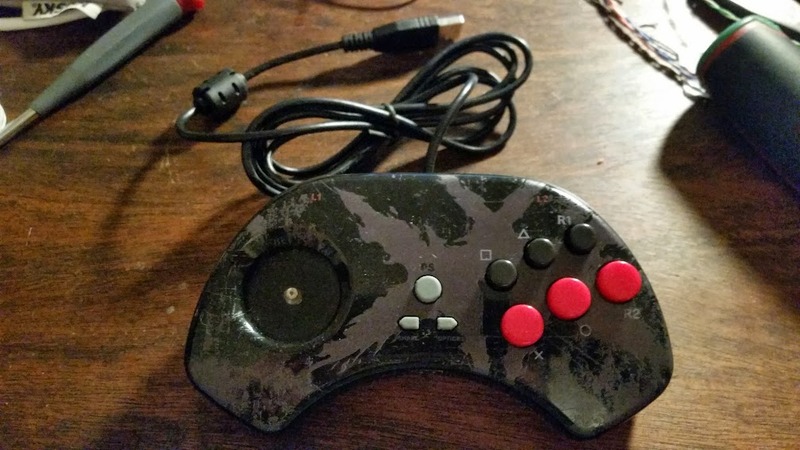 Those being the Hori Fighting Commander 4 and the Guilty Gear pad. Now while they are both very easy to padhack the only downside to them is obtaining them is not as easy as getting a DS4 pad. 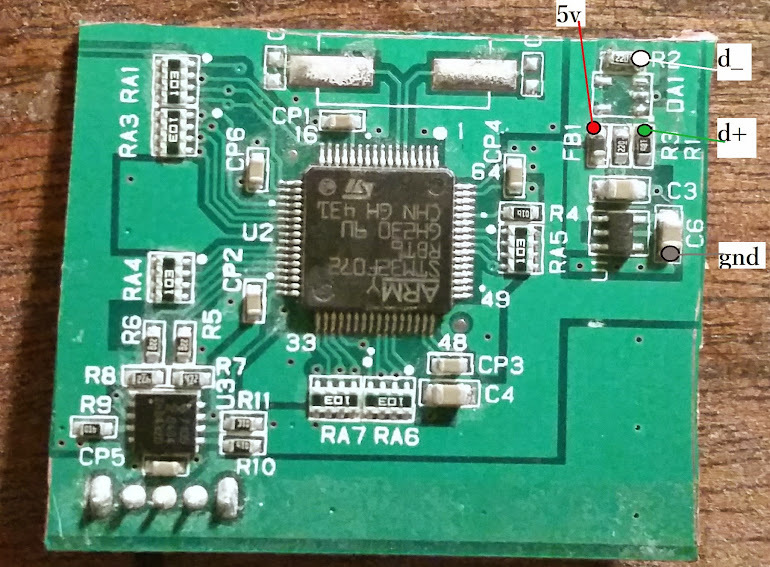 You have the option to solder to the top or bottom of the pcb. To solder to the top you will have to scrape the contact pads to expose the metal contact. There are two switches that are of importance. One is for the trigger swap and the other is for switching between ps3 and ps4. There is a third switch, but its for the dpad/left stick/right stick selection and isn’t that important. It should be left on DP. Pin 1 for the two switches are the switch signal line for their respective switch. If the switch is pushed one way pin 1 connects to pin 3 (which is ground) the signal line is pulled low. For the system switch this makes it connect as ps3. 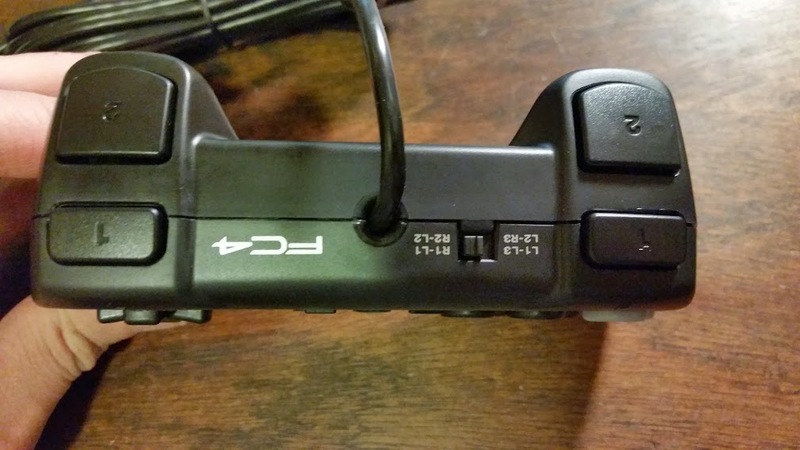 For the trigger swap switch this makes R’s set to the left side and L’s set to the right side. If the switch is pushed the other way pin 1 connects to pin 2 (NC). Since pin 2 is not connected to anything pin 1 remains in a high state. For system switch it connects as ps4. For trigger swap it makes the left side the L’s and the right side L3/R3. Qanba Q4 PS4 padhack with Hori FC4? 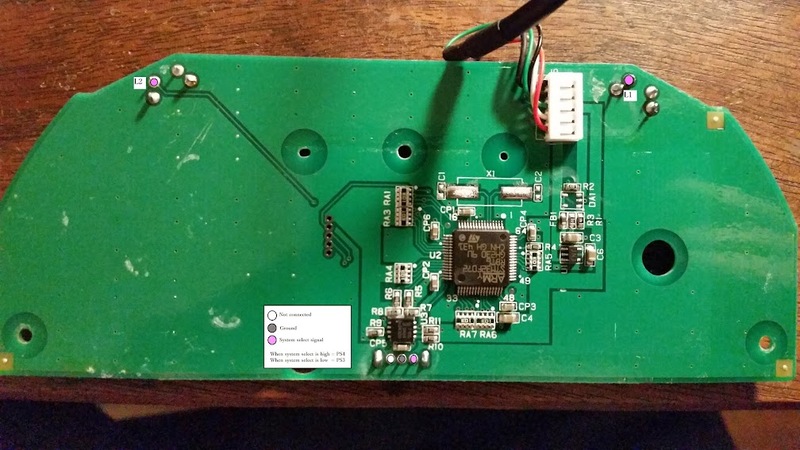 Undamned's USB Decoders (USB to JAMMA, etc.)! If you didn’t know already, the Dpad on this controller is easily susceptible to physically breaking off. Bad news for players, good news for modders. This pad is the easiest to wire up. It also has almost everything labels on the silkscreen already. There are 3 errors though. They spelt left as ‘LIFT’, the l1 and l2 labels are swapped, and the option and share labels are swapped. Each button signal is highlighted with a purplish circle. The system select switch has a signal line that if high will boot in ps4 mode. If it is grounded it boots into ps3 mode. It will stay in either mode until unplugged. 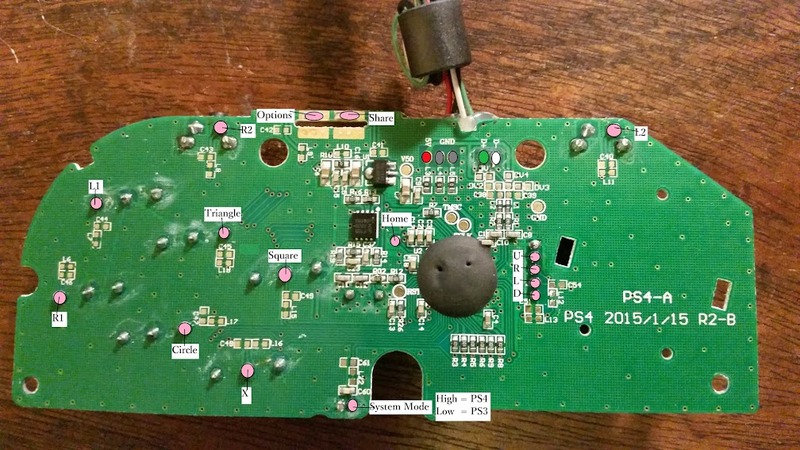 Meaning the system select signal can be wired up to a button so that it defaults to ps4 mode and will switch to ps3 mode when that button is held during plug in. 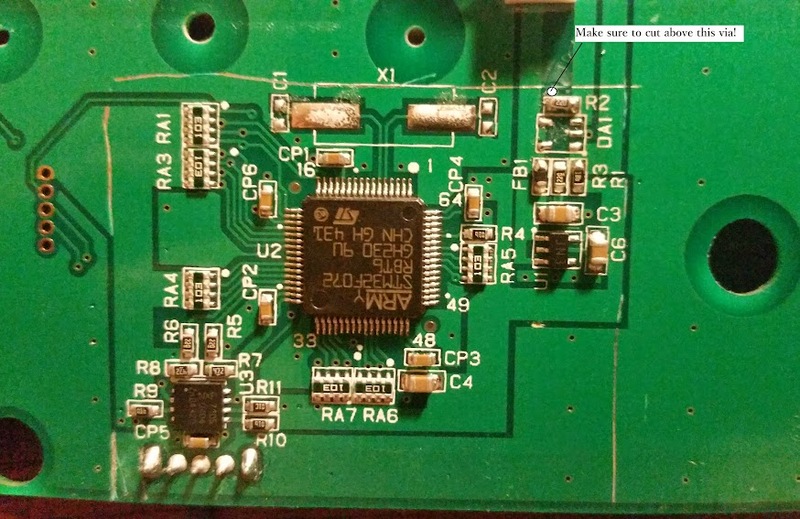 A lot of the pcb can be cut off, but will take great skill as you’ll have to wire up the signals to the vias. While this pad is common ground there is an issue with it. 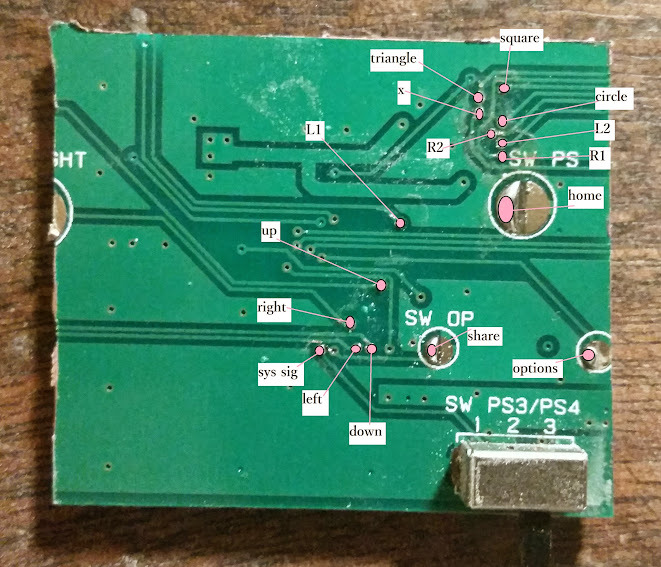 If the pcb is powered, but not recognized by the PS3, PS4, or PC then all its button inputs will remain low. 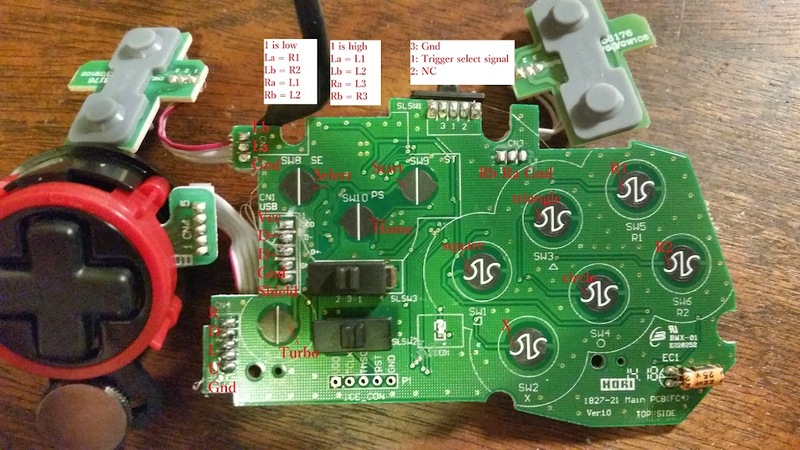 In other words, in a dual mod setup this pcb will cause issues as it will make the buttons seem like they are all being held down. 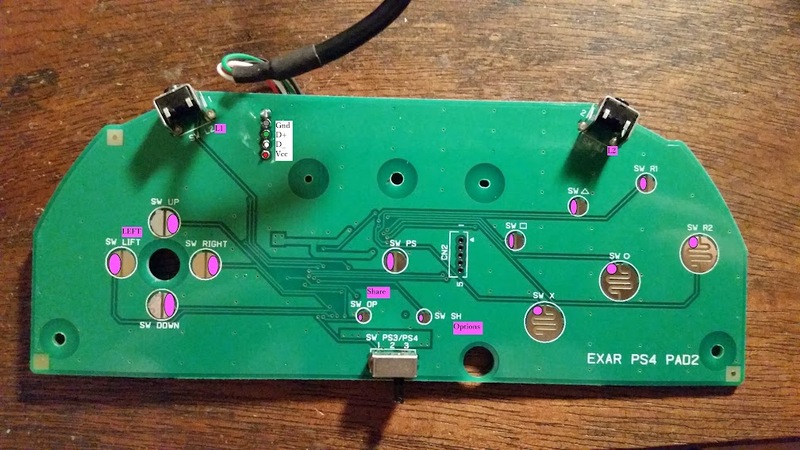 If using it in a dual mod you will need to add diodes to every button input. 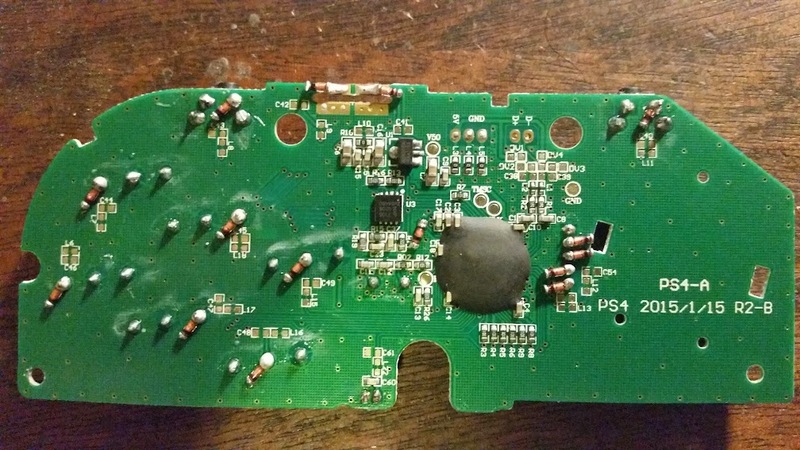 The anode should be soldered to the signal line on the MKX pcb. The cathode should be soldered to the signal line of the dual mod setup. 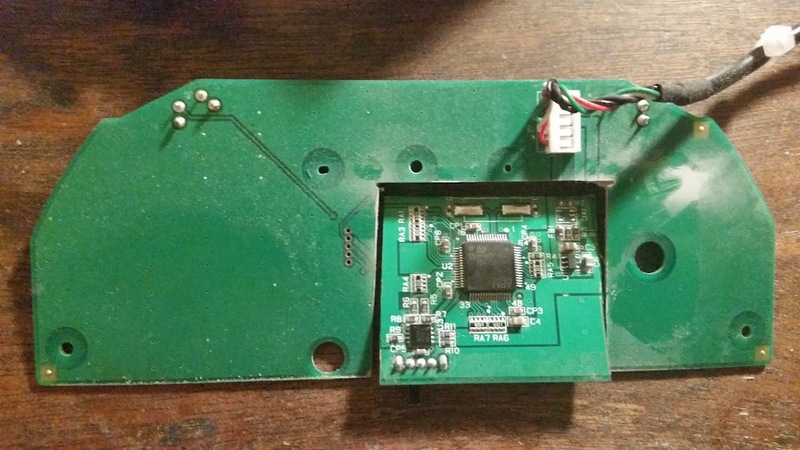 If you use it in a stand alone setup, no diodes are needed. I agree its just kind of inconvenient to get these I have ordered a couple of them however. From play Asia I wonder how long it will take. Depending on the shipping, usually about 2 weeks. This is not factoring any delays from customs. 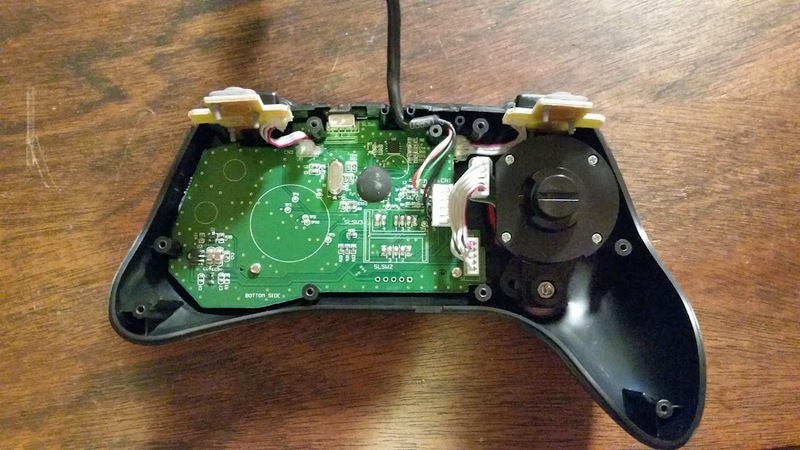 I researched this controller some time ago and never discovered a concrete answer so I left the idea alone. 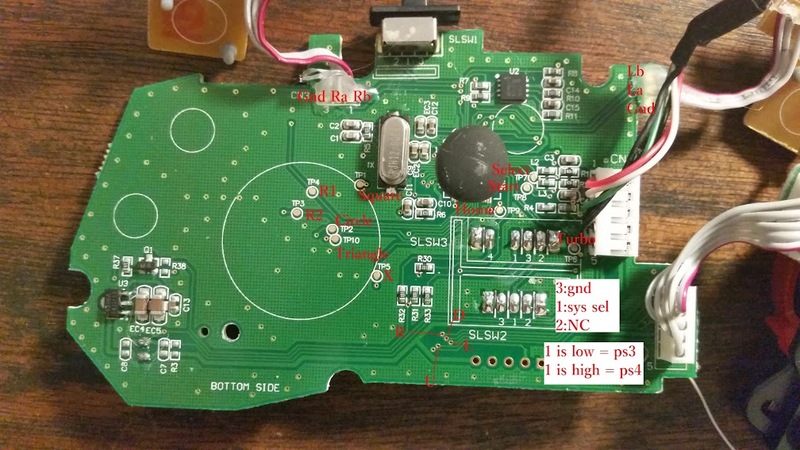 Most of all Hori arcade sticks and controllers distributed in Japan are normally common line or common volt which make them not an option to dual mod to another PCB. But when that same exact arcade stick comes to the U.S. then it has a chance of being common ground. I have experimented with this idea from the HRAP VX-SA/VX-V3, VLX, Fighting Edge, KAI, N3-SA and the current RAP V4. Only the Hori arcade sticks brought to the U.S. that I’ve experienced in my private collection have been common ground. The only anomalies have been the Hori arcade sticks I’ve purchased exclusively from Japan. Are you saying that the Hori Fighting Commander 4 is in fact common ground as currently distributed in Japan? Thank you for your time. Yes, the Hori Fighting Commander 4 that is currently distributed in Japan is common ground. I find it hard to believe that the hori sticks in Japan are not common ground. I know there are a few models that aren’t (like the 360 EX, 360 EX2, and ps3 T6), but it doesn’t make sense to have a common ground version of models for USA and non-common ground for Japan. Also, I own 4 Hori VLX Premiums. One of them was Japanese distributed and it wasn’t common ground. I have 2 HRAP VX-V3s. One was common ground and the other wasn’t. Last was the N3-SA which was from Japan with the black and red box art and it wasn’t common ground. Then I bought the same N3-SA with the black and blue box and it was common ground. I own over 19 Hori joysticks and they are either Tri or Quad modded and it has been a rule of thumb to expect the Japanese versions not to play well. Thank you for your help. Nice one, when will the the GG pad be up? Interesting. Been thinking of padhacking a FC4 Pro to put into my OG TE. You’ll likely need an actual switch. Otherwise, when you release the button, the PCB will jump back to the other console-mode. 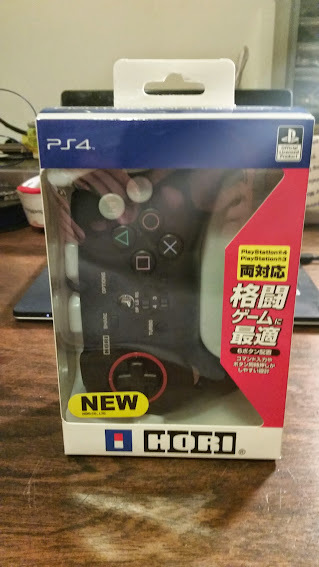 Japanese Hori Fighting Commander 4 is Common Ground, but Japanese Hori Stick isnt? You’re a godsend Matt. Thank you. So have a KI TE2 with a crossbone and ps360+. I want to add a FC4 for ps4 only with auto switching. I know I’ll need to add in an imp, but don’t know the layout. Anyone care to post a diagram? You can’t get auto-switching with an Imp V2 for any setup that doesn’t involve an MC Cthulhu.